Thanks to the strong energies in Aquarius that arrive at this time each year, genius energies fill the air. Aquarius helps us feel electrified and brilliant, and for you, Taurus, that means new opportunities for your career, public image and influence, and leadership. At this time of year, your desire to set a good example also increases, inspiring you to build mastery through your profession and lead by your noble example of loyalty, dignity, and achievement. By tuning in to this month’s potential, you may seize lightning in a bottle. Read on to see how. For you, Taurus, this energetic polarity may spark changes in your fourth house of home, family, and real estate as well as your tenth house of career and public standing. With a lunar eclipse involved, you may have seen something end in one of these areas, and with Leo activated it may have felt extra intense and emotional. As of February 10, Venus heads into Pisces, but on February 13 at 9:13 a.m. (3:13 p.m. Greenwich time), the sensitive Moon will join the other planets in Aquarius. So by mid-month, you’ll have three planets and the Moon’s node—point of past accomplishments—in this sign and pressing you to take action on anything related to your professional life, your public status, and accolades and achievements received through leadership in your industry. With several planets here, you’ll also feel benevolent impulses to set a good example in your career and community, and you may consider ways to leave a lasting legacy. For you, Taurus, the Sun, Mercury, south node, Venus, and new Moon in Aquarius are activating inner genius in your tenth house of your profession as well as your standing in the community. Heed every hunch in these areas and open your heart to connect with other people. You may have a chance meeting at work that puts the wheels in motion for a promotion, or you may get news of an award you’re up for—or have won. Plan time to contact women you’ve met through your career, as they may be able to help you now. You also could meet new people who become longtime friends as well as colleagues, so take every opportunity to socialize and make time for business lunches or casual chats. Also, your tenth house rules your standing in the community and your ability to leave a legacy. You may choose to take on a larger role as a leader in your local area, or you might be up for membership on a board. Make time for meditation and spiritual work this month to ensure your professional and home lives bring you the balance you wish for and see if it’s time for you to give back to your community somehow. February brings you many opportunities to succeed in your career and enjoy greater status in your industry. You also may start thinking about the legacy you’d like to leave and how you can serve as a mentor. On February 6, Venus in your tenth house of career and honors will connect with Uranus in your twelfth house of the unconscious. You’ll feel inspired to bring your spirituality or inspirations from dreams into your professional life somehow, and the insights you offer in meetings may turn heads, thanks to the out of the box perspective you can offer. A few days later, on February 10, Venus leaves your career house to enter your lively eleventh house of networking, group activities, and charitable work. You may meet women at a business mixer who can inspire you or help your career, or you could attend a charity event for an arts organization and bid on a luxury item that you’ll love. On the 13th, the Sun will talk to Uranus in your most personal house, again giving opportunities to profit professionally through messages in dreams or to get a recommendation from a colleague for help for a health issue. You also may plan a retreat or sabbatical and decide to go quite soon. This day brings Mardi Gras, so you may celebrate quietly or attend a professional event with a Mardi Gras theme. The next day, celebrate Valentine’s Day with your special someone. If you aren’t in a relationship, invite unattached coworkers or colleagues to join you for a group outing to try a new restaurant or attend a fundraiser together. On February 15—and for the week and half afterward—you can tap success by starting anything new related to your career once the new Moon arrives in brilliant Aquarius at 3:06 p.m. U.S. central time (9:06 p.m. Greenwich time). 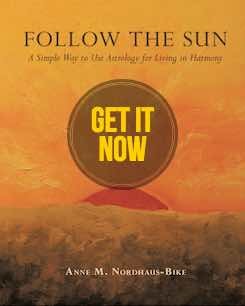 A solar eclipse comes just minutes before that—and the day brings harmonious angles between Mercury in your professional house with Uranus in your twelfth house of health, psychology, and the unconscious and between your ruler, Venus, in your house of friends with Saturn in your international house. You could make a new overseas contact through friends, or you may have a hunch about marketing or publicity that pays off handsomely at work. On the 17th, this theme continues with the Sun and Mercury coming together in your career area for a final burst of thought provoking inspiration as well as possible new contracts with clients or vendors or news of a major honor coming your way. On February 18, energies shift to Pisces, as the Sun leaves Aquarius for the sign of the Fish. Feel the change from air to water, from electricity to "see in the dark" intuition. Pisces always activates your eleventh house, where you focus on networking, social clubs, and volunteering. This is a good time to go to conferences, business mixers, and charity fundraisers or community meetings; it’s also a great time to focus on how well your life lives up to your hopes, dreams, and wishes. You’ll have additional support in these areas February 21 when Venus waltzes with Neptune in Pisces to bring deep love to your house of group activities and humanitarian causes, followed by Mercury’s meet up with Neptune on February 23 to spark idealistic thoughts with an artistic flair. Ground your ideas in something to help others, especially internationally or through your job, as the Sun and Saturn will bless practical efforts. February 13 and 14: The Sun in a helpful angle with Uranus favors health progress through a colleague. Enjoy Mardi Gras on the 13th and consider quiet plans for Valentine’s Day after you leave work. February 15: New Moon in Aquarius at 3:06 p.m. U.S. central time (9:06 p.m. Greenwich time)—with solar eclipse a few minutes before that—plus planetary harmony involving Mercury and Uranus as well as Venus and Saturn. The next week and a half favors new beginnings in everything related to your tenth house of career, professional status, community leadership, and lifetime legacy.